November 8, 2016, Toronto – Boffin, the Asian language service provider, today announced that its new VideoLocalize platform has won the coveted TAUS Innovation Excellence Award in the Insider category. 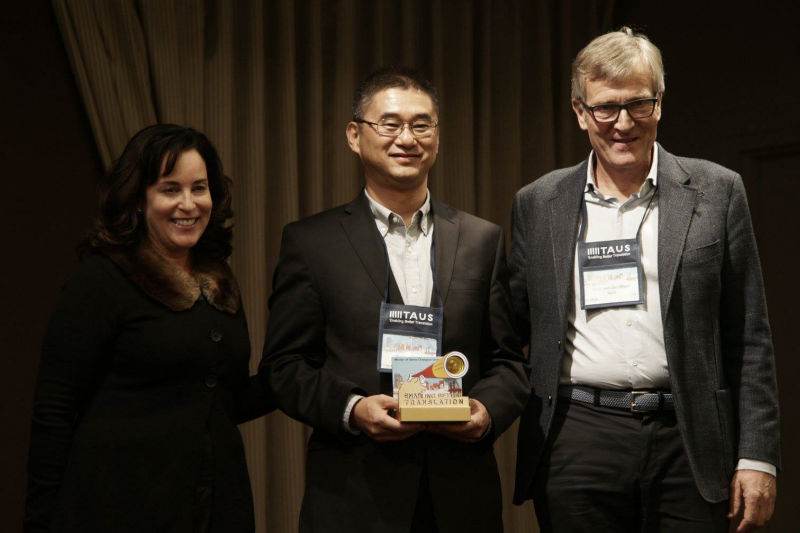 TAUS, the resource center for the global language and translation industries, presented the award to President and Co-founder George Zhao following his presentation at the organization’s Annual Conference in Porland, Oregon. To learn more about the platform, and to try it yourself, visit http://www.VideoLocalize.com.